Glistening like ice in the morning sun, this beautiful white quartz look is full of medium scale translucent white, grey and mirror particulates. -- Size --2 in. x 2 in. 4 in. x 4 in. 9 in. x 9 in. 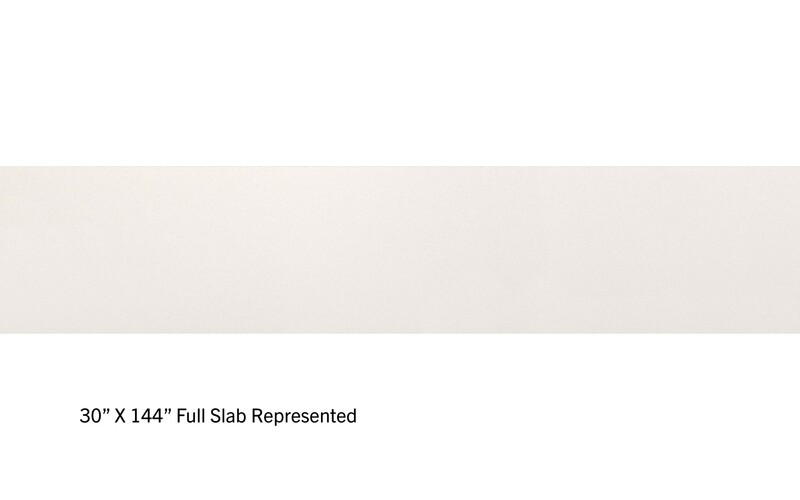 Product Type 051Wilsonart® Solid Surface 1/2"
To download or view Solid Surface Warranty documents, click here or copy and past the link below into your web browser. 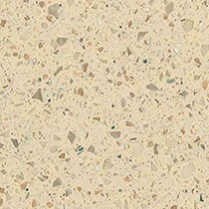 We thank you for selecting Wilsonart® Solid Surface for your home. For questions about care, performance or appearance please contact your Wilsonart® dealer, fabricator or visit our directory on this website for your local Wilsonart® Distributor. 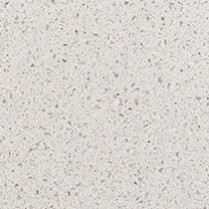 There are four types of finishes that can be supplied on your Wilsonart® Solid Surface by your fabricator/installer. The following simple definitions should assist with key items to consider when choosing a finish and necessary maintenance. Matte – Recommended standard finish especially in high traffic areas with low or no sheen and normally requires the least maintenance. Satin – Slightly higher sheen that may require more attention depending on traffic and use. Semi-gloss – Higher sheen with some reflection requires special consumer instructions, not suggested for a high traffic or high use areas, may require a certified fabricator to maintain, service charge may apply. Gloss – Recommended for vertical surface only, requires certified fabricator to maintain finish, service charge may apply. Darker patterns may need more frequent attention to maintain a uniform finish. Over time with use and general cleaning the surface finish will appear to change. We recommend to periodically clean the entire surface following the guidelines for removing stubborn residue to restore or maintain the original finish. For day to day cleaning, warm soapy water or non-abrasive household cleaners such as glass cleaner, Fantastik®, Formula 409® or commercially available solid surface cleaners will remove most residues. Then rinse and towel dry the surface to prevent spotting especially in areas with hard water. For a final touch, you may apply Protect All Shine Plus™ to your countertop for a clean, dry professional appearance. Stubborn residue that will not come out with day to day cleaning methods requires a slightly stronger cleaner. The following suggestions will assist you to remove stubborn residue and refurbish the finish. Apply an abrasive cleaner like Bon-ami®, Comet® or Ajax® and a damp sponge, buff in a circular motion. Then rinse and towel dry. Apply a mild abrasive cleaner such as Soft Scrub® and a damp sponge, rub in a circular motion. Then rinse and towel dry. If additional blending is necessary, lightly buff with a gray (7448) Scotch-Brite™ pad then rinse and towel dry. Apply soapy water and with a white Scotch-Brite™ pad rub in a circular motion. Then rinse and towel dry. This finish is limited to mild detergents or nonabrasive cleaners with a soft cloth. 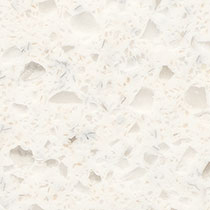 Wilsonart® Solid Surface is completely renewable since the color goes all the way through. The following guideline will assist with removing minor cuts and scratches. Apply an abrasive cleaner like Bon-ami®, Comet® or Ajax® and a damp green Scotch-Brite™ pad, rub in a circular motion. Rinse and begin blending in a circular motion in progress steps until achieving uniform finish. With damp sponge and the same abrasive cleaner, buff in a circular motion. Rinse and towel dry. Apply a mild abrasive cleaner such as Soft Scrub® and a damp sponge, buff in a circular motion. Then rinse and towel dry. If additional blending is necessary lightly buff with a gray (7448) Scotch-Brite™ pad then rinse and towel dry. Apply a mild abrasive cleaner such as Soft Scrub® and a damp sponge, buff in a circular motion. Rinse and lightly buff with a gray (7448) Scotch-Brite™ pad. Rinse again then follow with a white Scotch-Brite™ lightly buff in a circular motion. Rinse and towel dry. Specialized tooling is normally required to achieve and maintain a gloss finish. Please contact your fabricator for assistance. Service charge may apply. Should there be a variation with the surface finish, proceed with the blending step over the entire surface. For a final touch, you may apply Protect All Shine Plus™ to your countertop for a clean, dry professional appearance. Although Wilsonart Solid Surface can be renewed or repaired if necessary by a professional fabricator, it’s best to try and avoid serious damage by following these few simple guidelines. 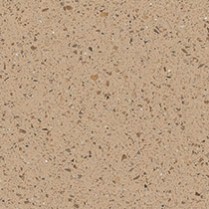 Although Wilsonart Solid Surface is heat resistant, common sense should be applied concerning exposure to direct heat. As with all types of countertops use solid trivets with rubber tip feet or flame resistant heat mats when placing hot objects, heat producing appliances such as electric skillets, crock pots, etc. on the countertop. Avoid exposing the surface to harsh chemicals such as paint removers/thinners, acetone based cleaners, stove/drain cleaners, etc. If these come in contact with the surface, quickly wash off with water, using the appropriate safety measures to avoid injury. Do not cut directly on the surface of your countertop, always use a cutting board. While minor cuts and scratches can be repaired by the consumer, deeper cuts may require service of a professional at an added expense.